Aerials fitted with fast and friendly service throughout the Somerset and Devon region. With over 17 years of experience, we are one of the most trusted aerial installation companies in the South West. Whether you need a new digital TV aerial, or repairs to your existing aerial we can help you. Please contact us for a free survey, where we will be able to answer any questions that you may have. We will be happy to provide you with a written quotation for all work, including all the fixtures, fittings, brackets and aerial equipment. Whether you want a traditional roof installation, or prefer the aerial to be fitted in your loft, we specialise in discreet aerial installations, and are able to hiding any cables discreetly via cavities and voids in the flooring and walls of your home. We can provide a bespoke hidden TV aerial installation anywhere in Somerset and Devon. We also specialise in TV aerial repairs and maintenance, so if your aerial needs a service, or if it simply stops working, then get in touch with us. 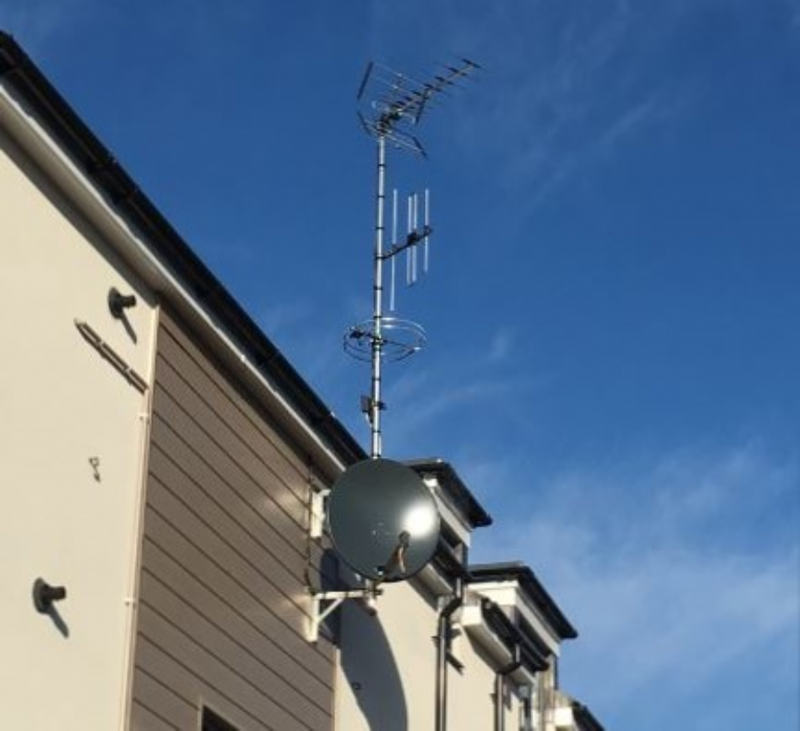 We offer a full installation and repair service on aerials throughout Somerset and Devon.